Born in Boston on January 23, 1910, Irene Sharaff was a favored costume designer for many of America's finest stage and film productions. 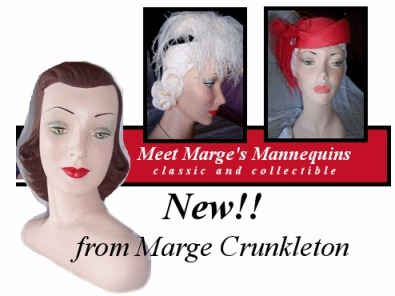 Often designing for both Hollywood and Broadway, she won five Academy Awards and a Tony Award for her costumes. 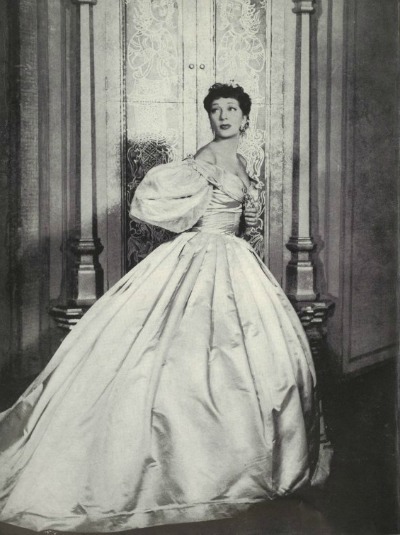 Gertrude Lawrence in Stage Production of "The King and I"
Sharaff studied at the New York School of Fine and Applied Arts, the Art Students League of New York, and the Académie de la Grande Chaumière in Paris. After working initially as a fashion illustrator, her interests turned to costume and set design. Her debut production was for Broadway's Alice in Wonderland. According to her obituary in The New York Times, Sharaff's use of luxurious Thai silks in the stage production of "The King and I" created a sensation in high fashion and started a trend in interior decorating. She won a Tony Award for her costumes and set design. Miss Sharaff is quoted in a 1967 interview as saying, "You can acquire chic and elegance, but style itself is a rare thing. The only theater people I know of who have it are Audrey Hepburn and Betty Bacall. The one who had it to the greatest degree was Gertie Lawrence. 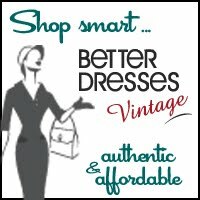 She could make a sackcloth tied with a belt look stylish." 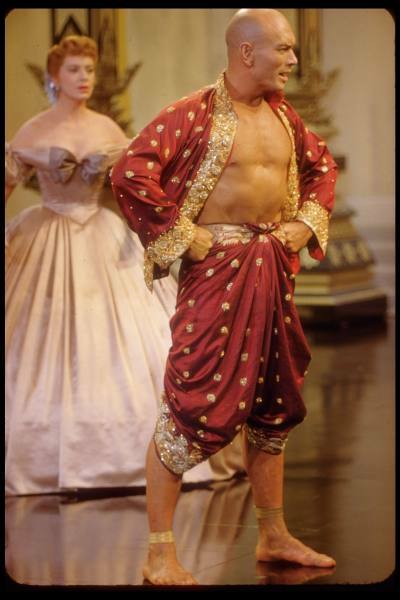 Sharaff also won an Oscar for her costume designs in the film version of "The King and I." Deborah Kerr and Yul Brynner in "The King and I"
Starring Frank Sinatra, Jean Simmons, Marlon Brando, and Vivian Blaine, "Guys and Dolls" was just one of the MGM and Irene Sharaff collaborations. 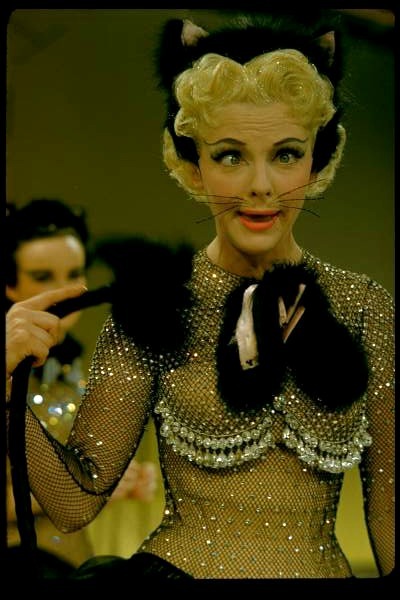 Vivian Blaine in Costume for "Guys and Dolls"
Sharaff was the production designer for the 1954 film "A Star is Born" with Judy Garland. 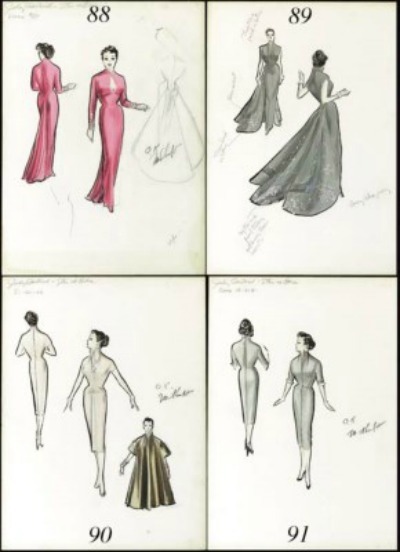 A sketch of Judy Garland's costumes for the film sold in 2000 for $1175. 1955 "A Star Is Born"
Irene Sharaff died on August 10, 1993 in New York City.